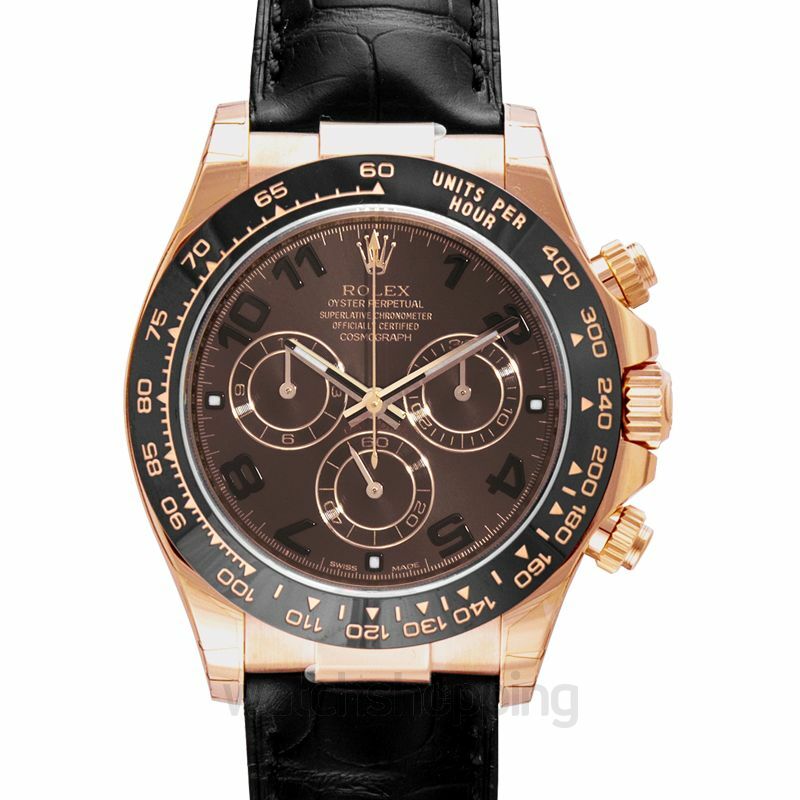 Entirely unusual and unique from the classic Rolex dials, the Daytona 116515ln-0004 has a gorgeous brown Arabic dial with 3 subdials inside. 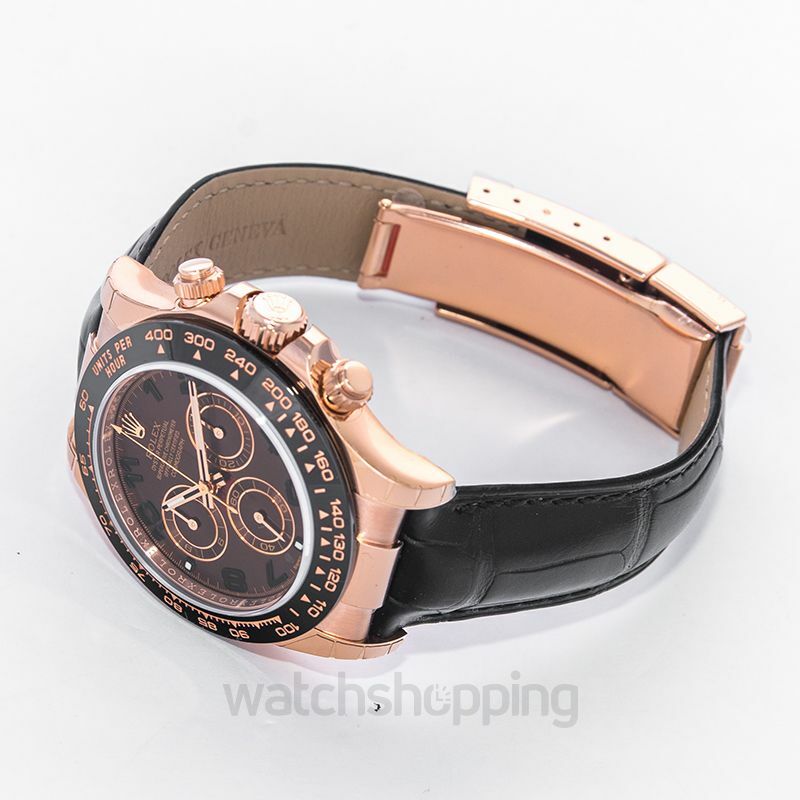 It has a gold tachymeter bezel which is complemented with a black alligator leather strap that ensures comfort. 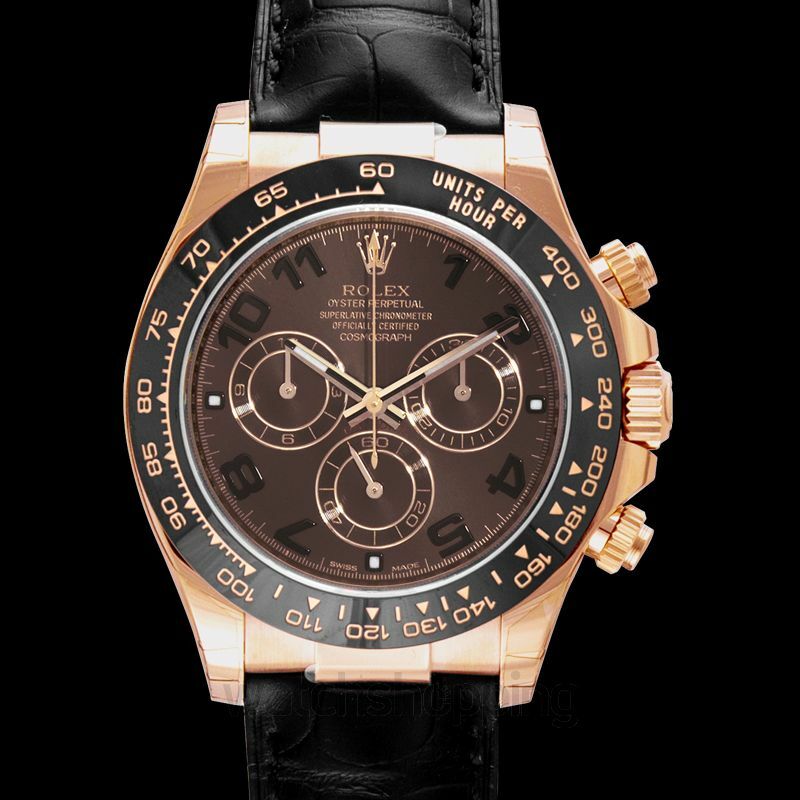 Made with 18ct ceramic rose gold, the watch is specially designed for professional race drivers. It will become a racer’s most important tool as it is equipped with the highest quality, most reliable chronometer that will provide highly accurate readings.